After what feels like a non existent off season thanks in part to the Irish Amateur Drift Championship, Pro competitive Irish drifting is back. 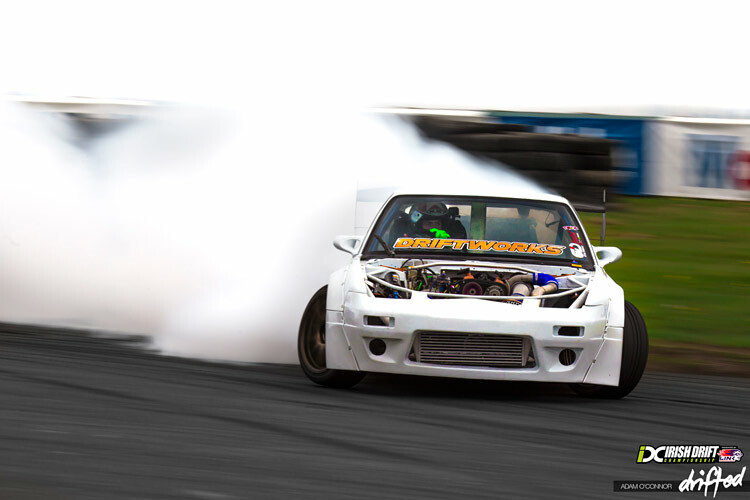 New rules, new builds, new drivers would all play a part in bringing back Irish drifting in 2017 with a bang. 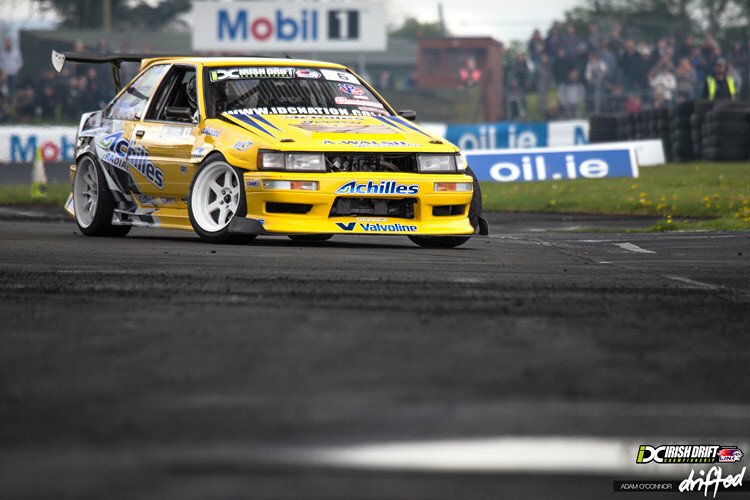 Round 1 would once again kick off in the home of Irish drifting Mondello Park, Kildare. 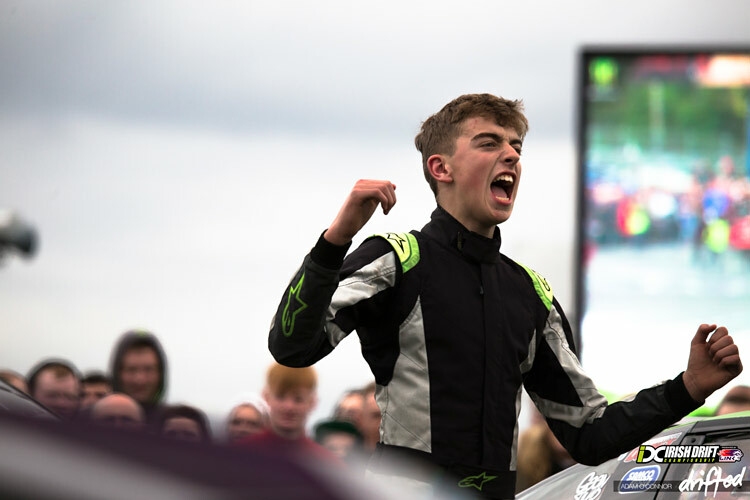 After a weekend filled with drama and news, we thought we would wrap up the Top 10 talking points from an action packed weekend at the Irish Drift Championship Round 1. Engine trouble for Duane McKeever. The two time and current IDC Pro Champion Duane McKeever would suffer engine failure moments before qualifying on Sunday. A quick scramble through the paddock would see the Northerner take to the track in the borrowed car of Pro Am competitor Darryl McFarlane. 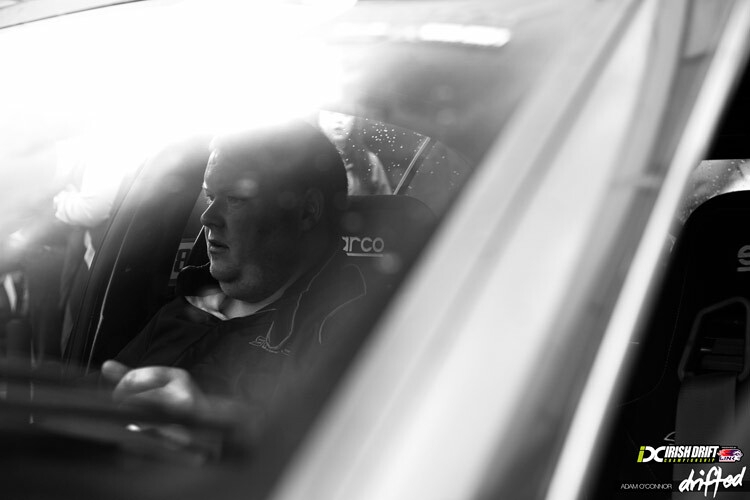 However McKeever is no stranger to competing in unfamiliar machinery having won most of the 2015 season behind the wheel of borrowed cars, as engine trouble had plagued much of that championship. 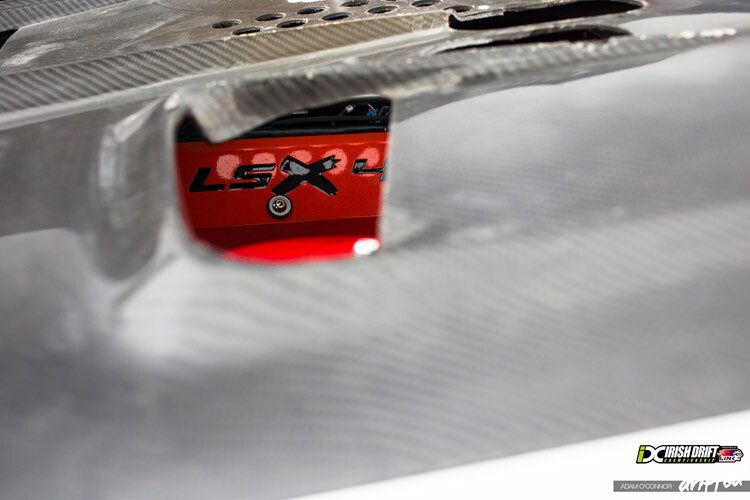 Unfortunately he would miss out on qualifying by one spot landing in 25th, after an incredibly strong qualifying session, with the highest ever cut off in IDC history. McKeever has vowed that this is the last of the mechanical issues that have hampered him over the years, and will be looking to make a massive comeback in the remaining 4 rounds. It will be an uphill battle from here, but he is not back to back champion for no reason. Watch this space. Jack Shanahan takes maximum points. 17 year old Jack Shanahan would on the other hand have a dream start to his 2017 Irish campaign. 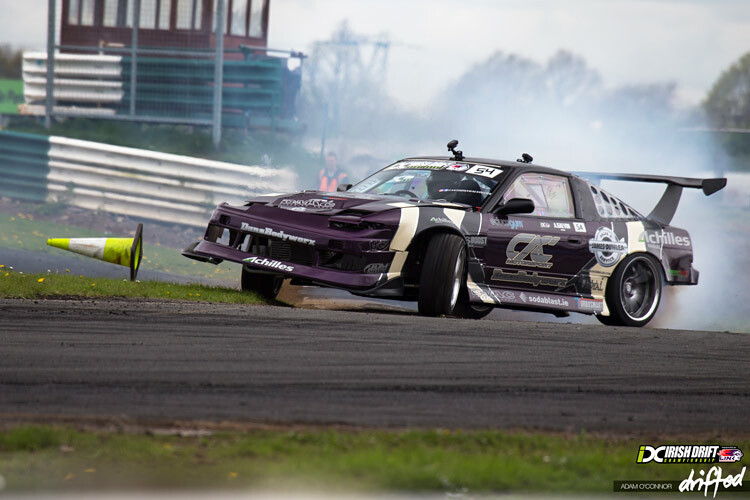 After numerous mechanical issues plagued the Shanahan S14 through all of 2016 and Round 1 of the British Drift Championship less than a month ago, last minute adjustments on Saturday night would see man and machine click for Sunday’s competition. Topping qualifying with a staggering 98 point run and taking top spot on the podium come Sunday evening, Jack stands atop the Pro Championship leader board, firmly setting his sights on glory in 2017. Conor Shanahan to go Pro. The silverware is well and truly on the way to Cork after Round 1. Not to be outdone by his older brother, 13 year old Conor Shanahan would make the perfect IDC debut. Saturday would see the younger Shanahan, battle his way clinically through Pro Am competitors to the top of the podium. Come Sunday, he would do battle with the Pro grid and only be stopped in the Top 4 by his brother Jack. Taking 3rd on the podium, Conor has now earned Pro licence for 2017 and can opt to compete in Pro or Pro Am for the remainder of the season. The undefeated streak remains. Steve “Baggsy” Biagioni and Mitch Larner have tasted IDC competition before and want more in 2017. Both International drivers have committed to a full season in 2017 for the first time ever and have their eyes on taking down the 13 year undefeated Irish streak. Many international opponents have come and gone, but no one has taken top spot before. Monster Energy driver Baggsy would exit stage left at the Top 16, while Australian Mitch Larner and the ear popping 800hp V8 PS13 would put up a tough fight but would not progress further than the Top 16. With many international guests and the BDC vs. IDC Super Series set for later in the year, this is the toughest challenge ever placed on the Irish. While Deane’s away, the rest will play. With James Deane away taking care of business at Drift Masters in Poland, I’m sure many competitors were breathing a sigh of relief. 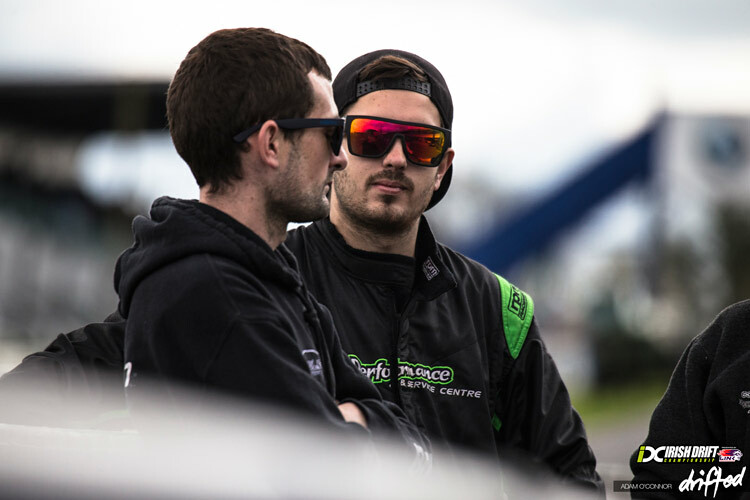 Deane will compete in as many IDC rounds as his busy schedule will accommodate in 2017, along with Drift Masters and Formula D. The dream start to his Formula D season hasn’t slowed the Cork native down though, as he topped qualifying and top of the podium in Poznan, the perfect preparation for FD Orlando less than 6 days later. Adrian Walsh out at the Top 32. Blazing a trail through Friday and Saturday practise and looking like a contender for top spot, but Adrian Walsh and his monstrous V8 AE86 would be stopped in the Top 32. 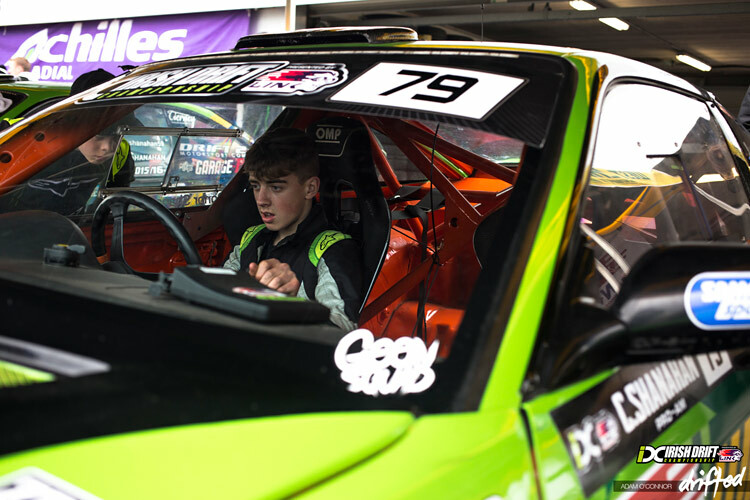 Simply keeping up with the pace of Walsh’s’ Corolla all weekend was proving difficult for the rest of the grid, but torrential downpours just before Top 32 battles, would see many drivers adjust to the patchy Mondello Park circuit. There is a new sheriff in town. The 2017 off season saw a number of rule changes to the Irish Drift Championship. One More Time is now One More Run, with the highest qualifying driver choosing to lead or chase to determine who progresses. One set of tyres must last a full battle, regardless whether OMR is required. 5 minutes rules are now limited to 1 per competition and calling 5 minutes sacrifices a driver 1 Championship point. These rules are implemented to make competition and time flow as efficiently as possible with emphasise always on keeping action on track and out of the paddock. The rules were trialed in 4 round of the Irish Amateur Drift Championship over the winter and have proven a strong success. Drift Games. 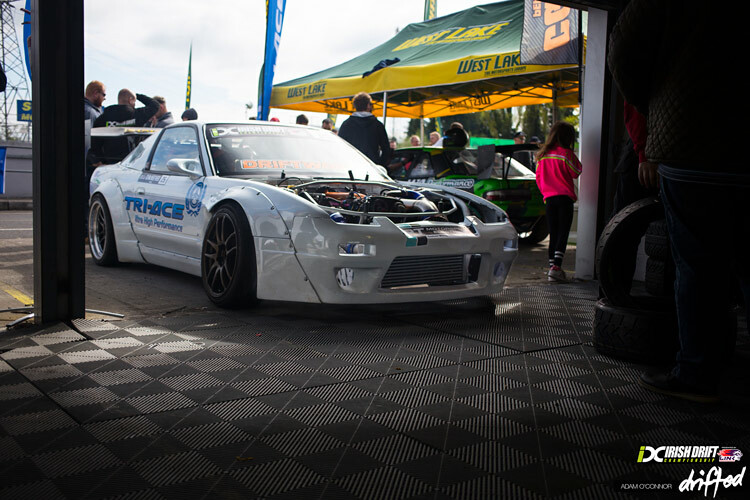 2017 sees the introduction of Drift Games to the Irish and British Drift Championship. Created purely for spectator and driver entertainment, on the lead up to an event fans can vote on what they would like to see any driver willing to take part come Sunday afternoon. Backwards entries, 360 drift, drift parking, and are all on the menu and the any Pro Am or Pro driver can turn up on the grid to take part. 360 Drift was chosen and saw a number of drivers step out of their comfort zones flicking their pride and joy into a controlled spin just before linking Mobil 1 corner. Tom Murphy would take the win after stepping up the game with a 720 before finishing in style. Dún Laoghaire is SOLD OUT. At the weekend, it was announced that tickets for Round 2 would go on sale come Monday at 6pm. 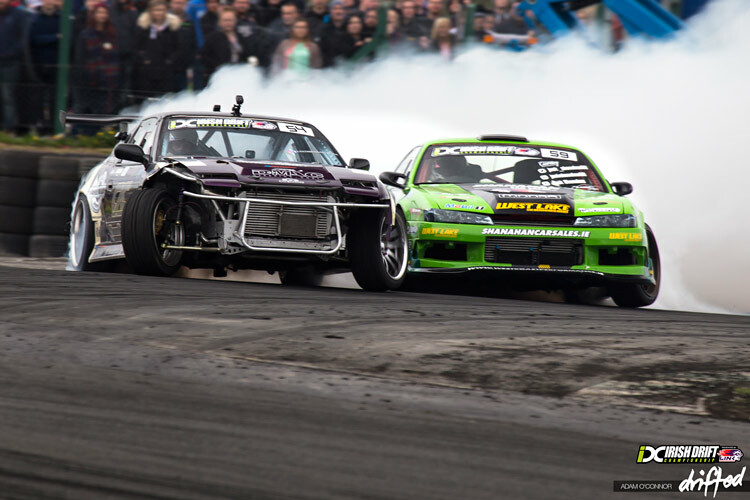 Round 2 will be a big venture for the IDC, as it sees drifting shut down the picturesque Dún Laoghaire Harbour in Dublin for one weekend only. Demand was always going to be high and at 6pm, 2000 tickets went of sale and within an hour, not one was left. 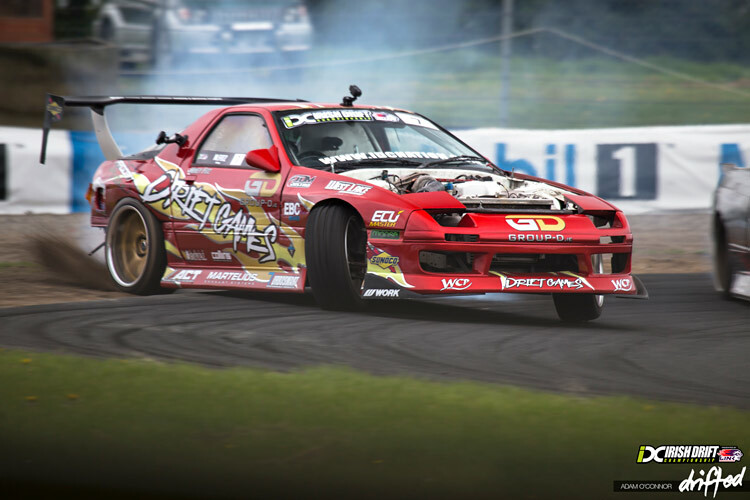 It is a testament to how fast drifting is growing in Ireland, the proverbial glass roof place on Irish drifting and motorsport in general may just be smashed come curtains close on the season. With less than 4 weeks to Round 2, some drivers and teams have a hectic fight to write the wrongs of the off season and claw their way back into the 2017 season. We will be trackside all year bringing the best of what’s to come.